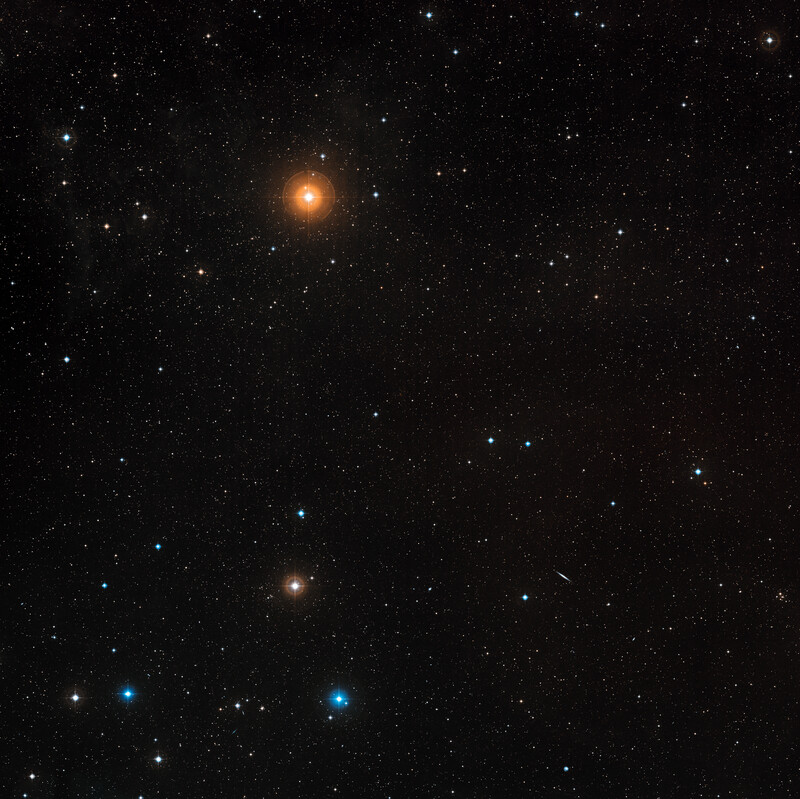 ZwCl0024+1652 as seen in the Digitized Sky Survey 2 (DSS2). The image is a colour composite from DSS2 images. The field of view is 3.0 degrees. The cluster of galaxies is in the centre of the image. Position (Dec): 17° 8' 33.18"